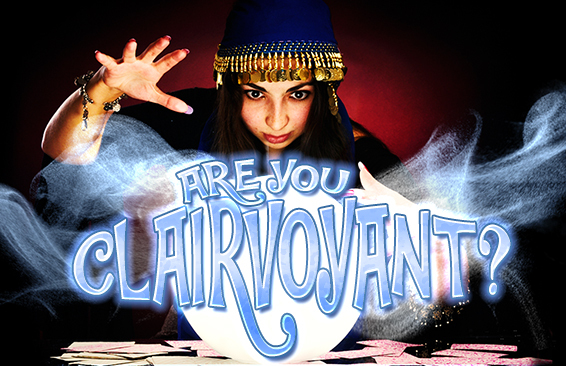 Home / Articles / Are You a Clairvoyant? Are you someone who would like to increase your trust in your own intuition? Or maybe you’ve a healing practitioner and would like to increase your abilities and enhance your current modality. nty in making decisions and knowing you are on the right path. This is true inner power. In this post I will illustrate everyday Clairvoyance and how to use it in decision making and discovering your joy. Clairvoyance means the ability to see clearly. This gift comes in many forms: dreams, seeing future events, receiving visions, daydreams, seeing colors, and recurring sights in the physical world. This gift is your spirits way of giving you guidance by appealing to your vision. I have found that this is the most feared gift due to the apprehension of seeing “other-worldly things”. It is due to this fear that many of us overlook the practicality in having the gift. The formula is simple: request, imagine, and accept. For instance let’s say you have a decision to make with three available options. Begin by labeling your choices as A, B, C and asking which will be in the highest good of all? That’s the request. Then imagine the joy you will feel once the decision has materialized. Last keep your eyes open for which letter you see most repetitively throughout your day. The key with spiritual guidance is that it is always repetitive so if you are unsure just ask clarification. It’s really that simple, Clairvoyance without the ghosts! I have been a vivid dreamer for most of my life. So when my dreams started predicting future events and showing me disharmonious patterns, I wanted to bring that ability to my waking life. I had multiple dreams in which my vision was dark. One day I sat down and had a conversation with my life guide about it. The guidance I received was to hold the intention of seeing love and that I would begin to see energy that week on a Wednesday. I was so afraid of seeing spirits and deceased people. Wednesday came and I was eager and afraid. All day, I was on edge and anxious. Then as I was driving home from work, I felt the urge to put a crystal in my right hand and chant over and over, “I see divine love clearly”. After the mantra stuck in my spirit, the sky opened up and I saw vibrations and infinite many sparkling lights twirling about. When I focused, it looked like a blue and purple tornado tunnel covered in white Christmas lights. Unfocused it was just movement and floating white lights. I know what you’re thinking; it was unbelievable to me as well. I rubbed my eyes to make sure that I wasn’t hallucinating but it was there, it was everywhere. I received it in the car where I was most comfortable, alone, and at ease listening to music. It wasn’t scary at all. 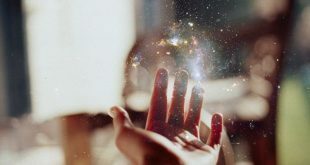 My experience was extreme because I had overlooked all the other ways in which I could already see Clairvoyantly, all the ways that I have shared in this post. Like the other gifts discussed in this series, to see Clairvoyantly you have to make the intention to see clearly in the manner that you are most comfortable. That manner may mean seeing sequences of numbers, repetitive physical signs, lights, energy, or colors. There are infinitely many ways in which to see with spiritual sight. Like all gifts there is purification before you are able to recognize the gift. Mostly, until you are able to see things without judgment your ability to see guidance may be skewed. My purification process began with the dreams I had about darkness. They were showing me that I was afraid of the dark and it was limiting my ability to see what was in front of me. The path to all gifts begins with your belief patterns and behaviors. What you think you create. You will have to purify and release your fears in order to fully accept your blessings. Below are a few tips to help correct your vision. Create a personal mantra stating what you want to see and repeat it to yourself. You spirit will respond with the form that is most comfortable to you. Make it positive and present, “I only see love and light”. 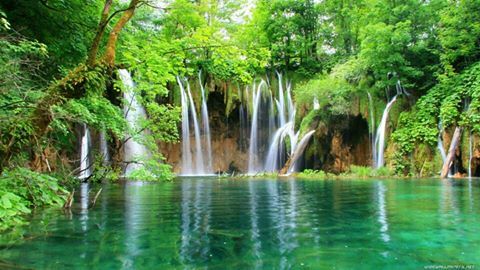 Nature is the ultimate healer and ultimate example of pure beauty. Fresh air cleanses the energy of fear, anxiety, and confusion! The creativity in the way that the flowers and trees change colors is inspiring. By making a habit of viewing beautiful things that don’t require anything of you; you will begin to cultivate a better self-image and outlook in life. Simply view things that are pleasant to the eye. Examples would be pictures of babies, puppies, rich colors, and people laughing, whatever brings a smile to your face. Every time that you see something that is pleasing to the eye your spirit uses that happy energy to bring you more of what pleases you. In my Clairvoyance I can see divine energy everywhere, in the sky, in my skin, on the walls. My dreams are crystal clear, deceased loved one visit me in dreams. I see aura colors and angels energy. When you hone your ability it can extend beyond physical sight and encompass patterns that reveal guidance. I can also see disharmonious patterns that hinder my clients from seeing clearly or experiencing joy. Seeing the energy helps me feel continuously comfortable, loved, and protected. Pretty amazing right! 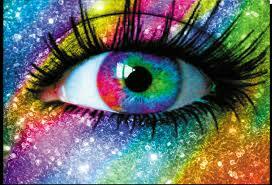 To develop your Clairvoyance intend, get outside, and make a habit of seeing beautiful things. The more that you see beauty in yourself you will be able to see it all around you. Previous Have You had a Psychic Dream? What are Psychic Clairvoyant’s abilities? Have You had a Psychic Dream? Why do People Look for Psychic or Clairvoyant Readings?